Suzuki India has announced the launch of their flagship bike Hayabusa in India. This is the 2018 version of the bike and it is assembled in India after getting imported as CKD (Completely Knocked Down) units. The superbike is priced at Rs. 13.88 lakh, ex-showroom, Delhi. The bike will be available in two colours – red/white and black. The deliveries are expected to start soon. Suzuki India will showcase the bike at the 2018 Auto Expo. The Hayabusa enjoys a great fan following in India and captures the attention of a lot of youngsters. The bike is powered by 1,340cc, in-line four-cylinder, liquid-cooled engine. It produces a maximum power of 196 Bhp and 154 Nm of torque. The bike gets Suzuki Drive Mode Selector (S-DMS) that has three riding modes. The modes can be shifted to get different throttle response and power delivery. The bike is built on an aluminium-alloy twin-spar frame. 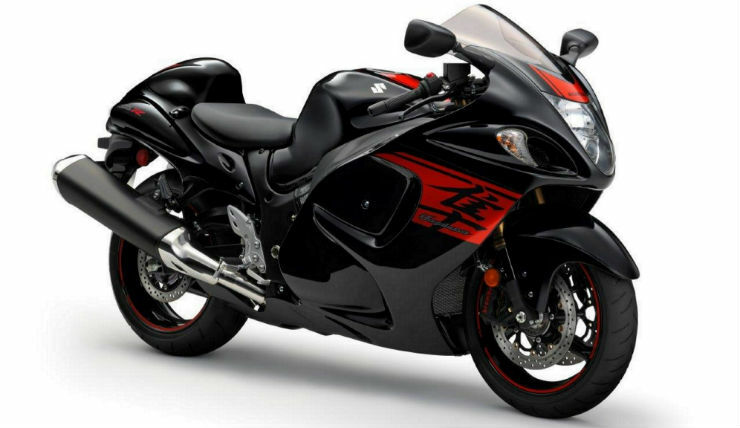 Suzuki Hayabusa gets castings and extrusions to make sure that it is lightweight and has enough strength. The bike gets KYB inverted cartridge forks at front. They are coated with a Diamond-Like Carbon (DLC) that reduces the friction and makes the suspension very smooth. The rear gets a single-shock monoshock. There is a steering damper that settles down the unwanted vibrations on the handle. The bike gets three-spoke cast-aluminium alloy wheels that come with 120/70 and 190/50 tyres. The braking power comes from 310mm front discs and Brembo monobloc callipers. The rear gets a 260mm disc brake. The dual-channel ABS is also standard. 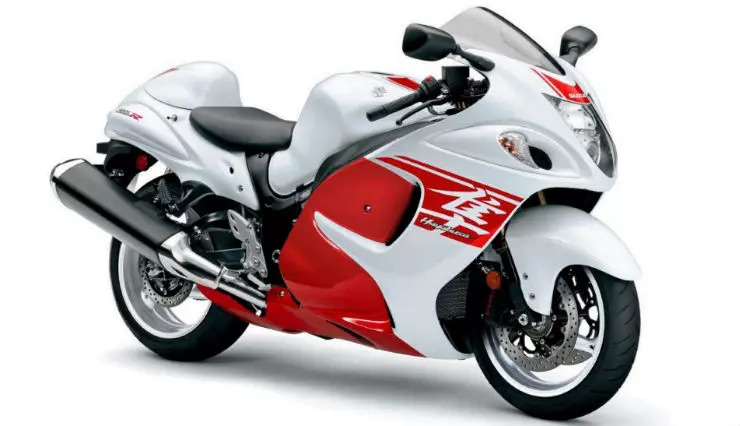 The Hayabusa was the first “Made-in-India” bike that makes it much more affordable than the direct rivals like Kawasaki Ninja ZX-14R, which is priced at Rs. 19.7 lakh, ex-showroom Delhi. The bike will be showcased at the 2018 Auto Expo alongside other products from the Japanese manufacturer.